We place great importance on our surf course programme in Le Pin Sec and have high standards for the courses that we deliver. This starts with the surf instructors that we employ. 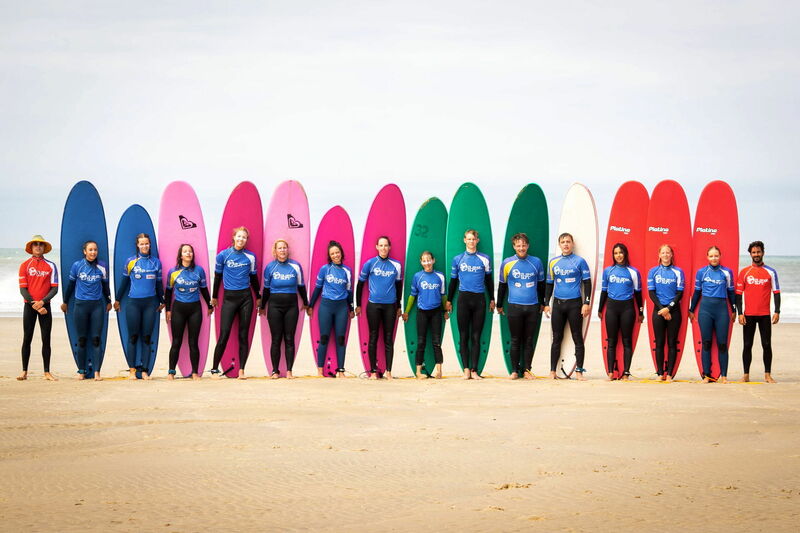 All of our surf instructors are fully licenced to teach, have a lot of experience in delivering surf lessons, and are excellent surfers themselves. Our surf instructors are carefully selected for the prowess with which they teach, allowing you to progress your surfing quickly and safely. Our lessons are taken in small class sizes, with a maximum of 8 students per instructor. This ensures that you feel safe and comfortable in the water, and that your instructor can give you individual feedback and advice. Furthermore, students are arranged into groups by level, namely beginner, intermediate, and advanced, to maximise your surfing progress. In our surf courses in Le Pin Sec, you’ll get 24 sessions per week, with each session lasting 45 minutes. This is usually allocated as a 3 hour lesson each day, for 6 days, but may vary depending on the current surf conditions. 18 hours of surf coaching over the course of a week is more than you’ll find most surf camps provide. We believe that the extra hours that we offer really make a difference when it comes to improving your surfing. 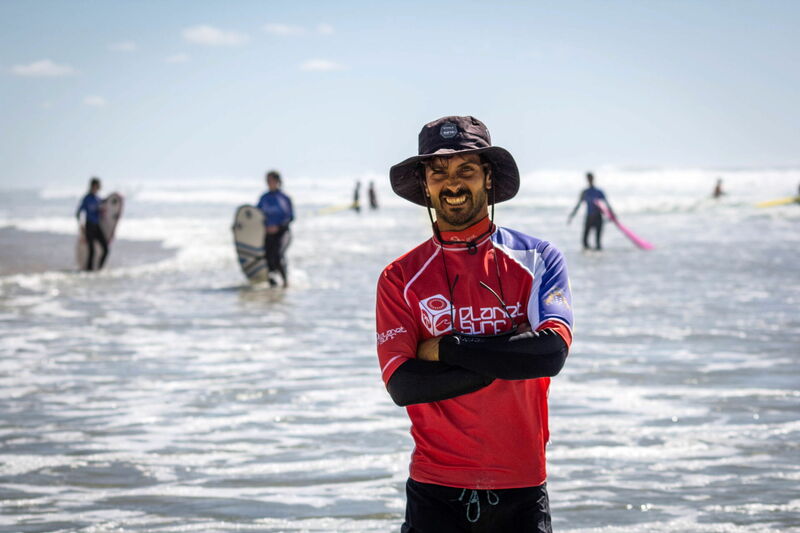 In addition to your surf hours in the water, there are also weekly theory classes, in camp, to provide you with a greater understanding of the waves, the tides, and the surfing rules of the water. Whitewash? High-tide? Leash? 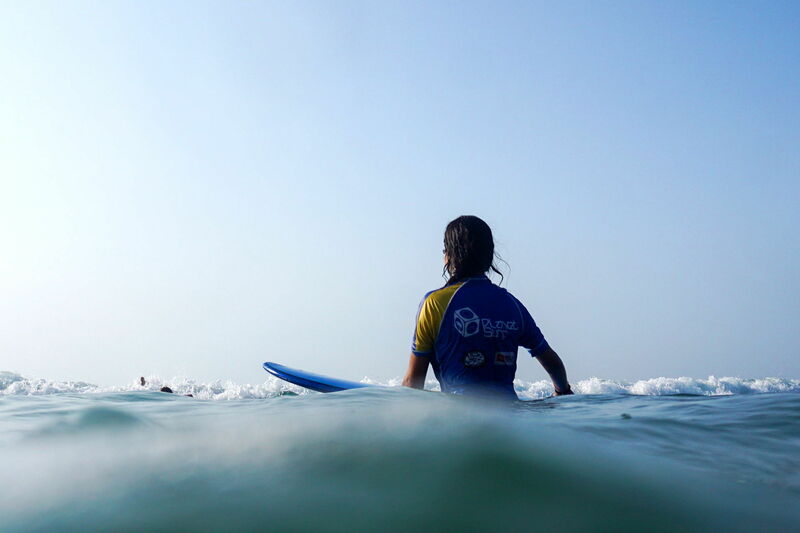 If the world of surfing is alien to you but you’re eager to discover it, then our beginner course is made for you! 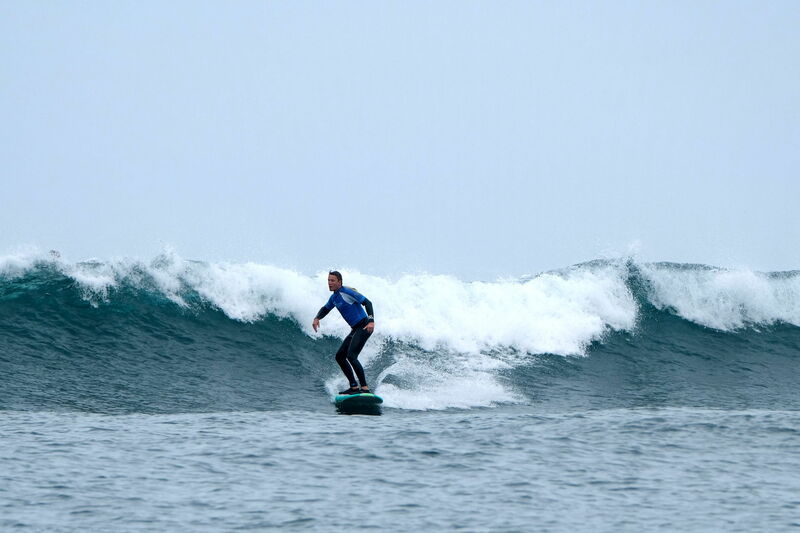 Our instructors will expertly guide you in your first forages into the surfing world. You’ll be taught the basics of how to get up and standing on a surfboard, using the three-step method. This ensures your progress isn’t limited further down the line by poor technique. Not only will you be taught how to surf, but also how to do so safely. This is truly indispensable knowledge, especially if you plan to surf without an instructor present in the future. 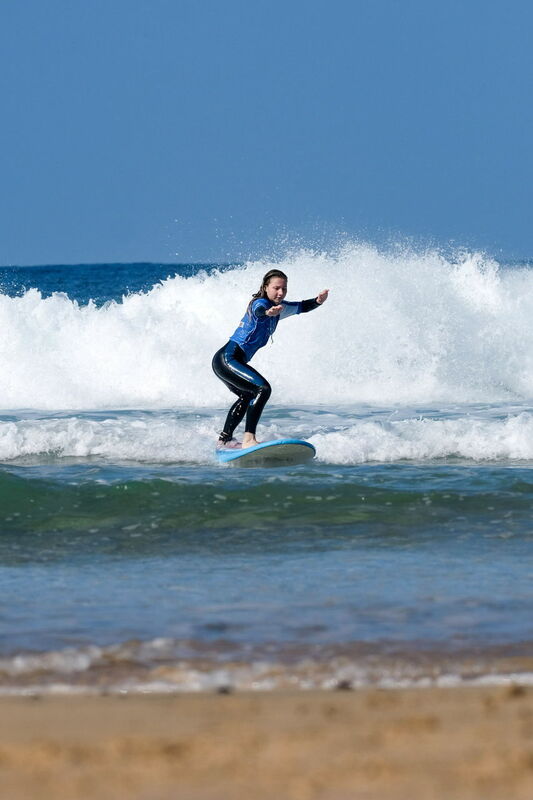 In our beginner surf course in Le Pin Sec, our highly experienced instructors will guarantee that learning to surf is a fun and safe experience. If you’re already able to catch white-wash and stand upon a surf board then our intermediate level surf course is for you! Our instructors in Le Pin Sec will aid you in moving forward with your surfing and teach you how to surf ‘green’ unbroken waves. 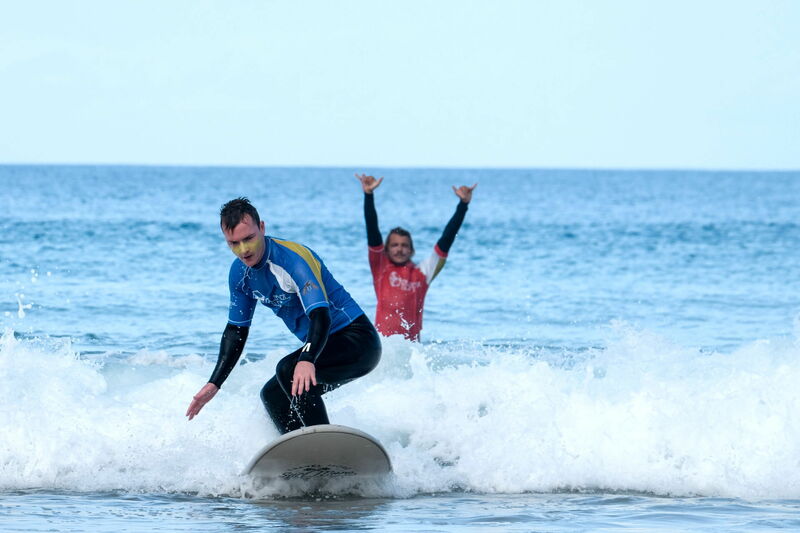 A week in on our intermediate course will move you on from whitewash surfing and get you surfing the waves! You’ll also learn how to surf left and right along a wave, instead of just straight towards the beach. 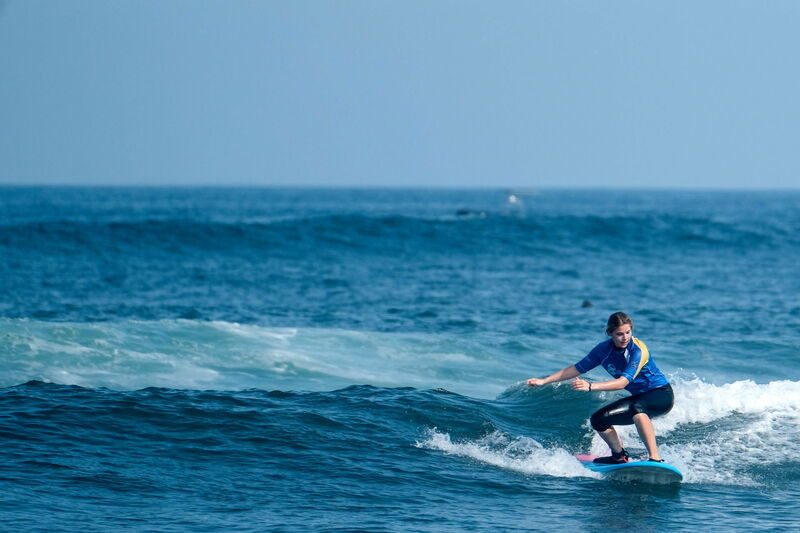 If you’re already comfortable surfing green waves of up to 1.5 m, and can surf a left and a right, and not just straight towards the beach, then our advanced course is the one for you! Our highly trained instructors will help you take your surfing to the next level, teaching you new manoeuvres and finessing your technique. The programme is tailored to your individual needs, so whether you’re wanting to learn to cutback, or you’re looking for some advice on your aerials, our surf coaches will help you to achieve your goals. 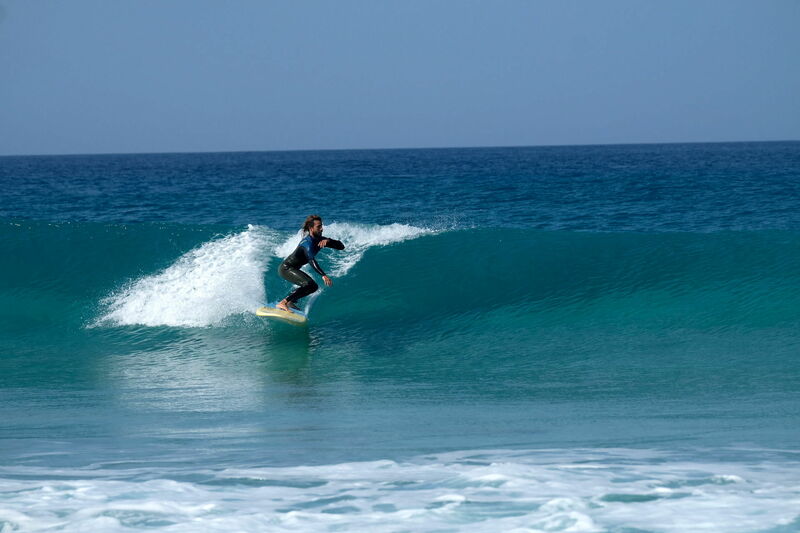 Our surf instructors look forward to helping you improve your surfing in our surf courses in Le Pin Sec!